Mass consecration of Jatukam amulets at Wat Wan Nak Care performed by the powerful and well-known Arjans and Lum Pors. 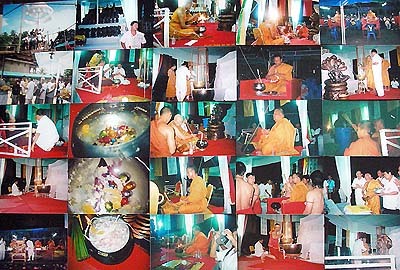 All these photos are originally supplied by the temple, Wat Wan Nak Care. 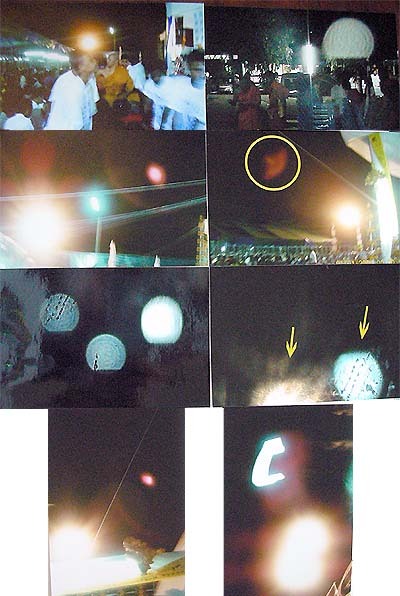 These photos showed not only the power of Jatukam appearing but also Lum Por Kiu. Master Tham was lucky that the resident monks leaded him to visit the site of Lum Por Kiu. Its body mass was a composition of earth aging more than 2000 years. Not everyone is allowed to enter as this sacred place is tightly guarded. Khun Pean is an extreme version, the respectable amulets of charm and good fortune. These amulets were made from sacred powder and stones from Thai herbs and materials for eternal charms , good fortunes and protections. 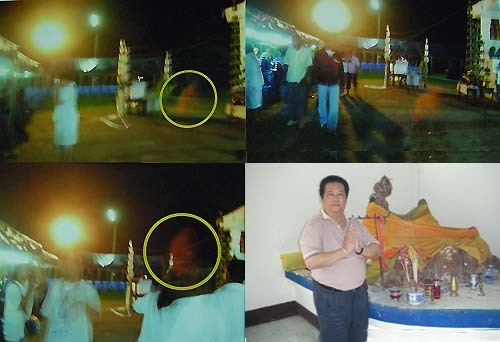 During its mass consecration, the temple, Lum Por Por Kiu also appeared. This shows its sacred power which is worthy collectible amulets and a high rare item. Master Tham managed to get some from it’s amulets caretaker of the temple. It is limited in editions.